Back before David Lynch’s ridiculous movie adaptation of Dune in 1984, there was actually, in the mid-70s, almost a different version, directed by Alejandro Jodorowsky, an experimental actor/director from Mexico. 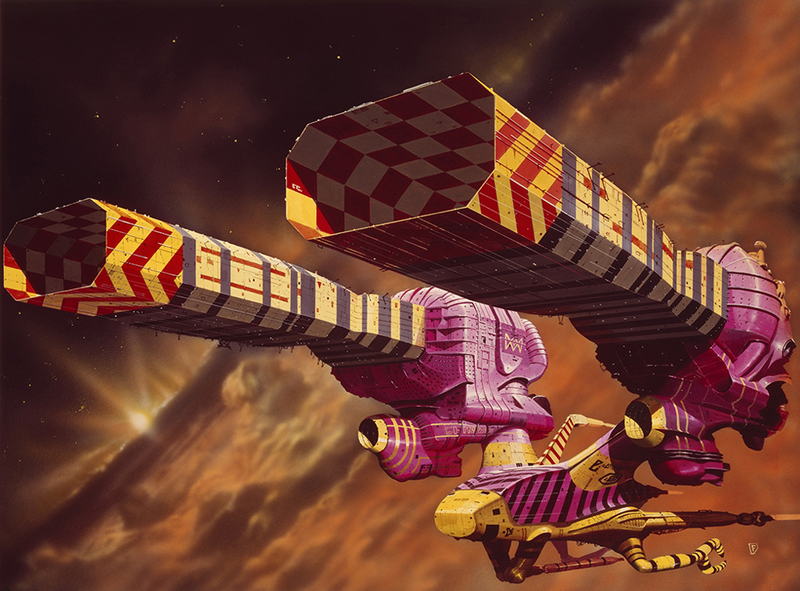 That almost-movie is now called by some movie buffs and insiders as The Greatest Movie Never Made, and the story of how it almost got made, shown in the recent documentary Jodorowsky’s Dune, is a fascinating look into the creative film-making process. What makes the documentary fascinating is that Jodorowsky’s version of Dune might have been even more ridiculous than Lynch’s. Or not. Hard to tell. But the strange thing is that the movie Jodorowsky didn’t end up making did end up influencing movie-making maybe more than if it had been made, including sci-fi classics from Star Wars to Alien to Prometheus. If you like any of those movies—and who doesn’t?—and/or you’re just a film buff in general, and/or someone just interested in the creative process in general, you’ve got to see the award-winning Jodorowsky’s Dune, now out on home video, cable, and instant video. 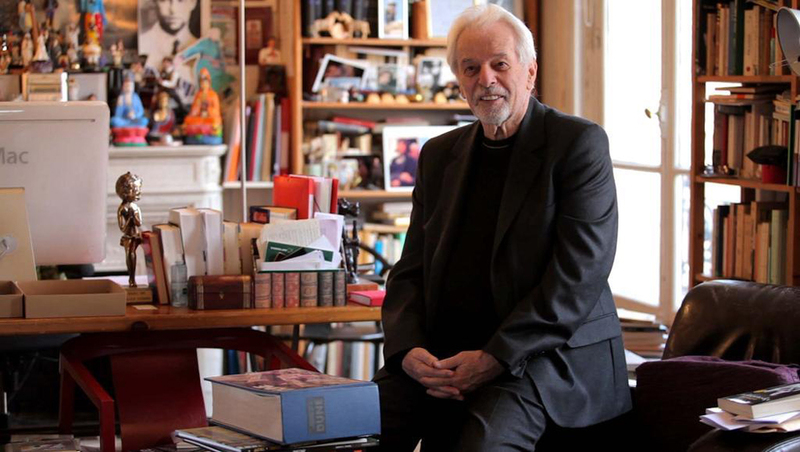 The documentary is both about the process of making the almost-Dune, and about Jodorowsky himself. He of course gets lot of screen time, and he’s more than willing to talk—he likes to talk. And he’s a character. Either a genius, and/or a madman, and someone who would probably like either one of those descriptions. The guy is smart, obviously, but determining what kind of smart is what makes this movie fascinating. Is he a good actor? Is he a good filmmaker? Featured clips from his earlier movies kind of argue ‘no.’ Though that’s subjective, and you could say they’re just….well, ‘experimental.’ Yes, one could say that indeed…. But, based on the sort of underground success his earlier movies, like El Topo and The Holy Mountain, garnered in the early 70s, as the documentary shows, he was given the chance to direct a big-budget American movie. And, he chose to adapt the Frank Herbert’s book Dune. Why? Was it a favorite book of his? No: he had never read it. And he still has never read it. Hubris? Arrogance? Is that even possible? Technically, no, though the production went on for at least two years, and this documentary chronicles the steps as Jodorowsky recruited for his team, including the macabre artist H. R. Giger, and the (future) comic book artist Moebius, among a list of others. In fact, if Jodorowsky is ‘smart’, I’d argue his genius is in a form of ‘social engineering’: getting good people to work with him on his vision. Which, you could argue (and I would), is the sign of a great leader: hire good people, and let them do their thing. 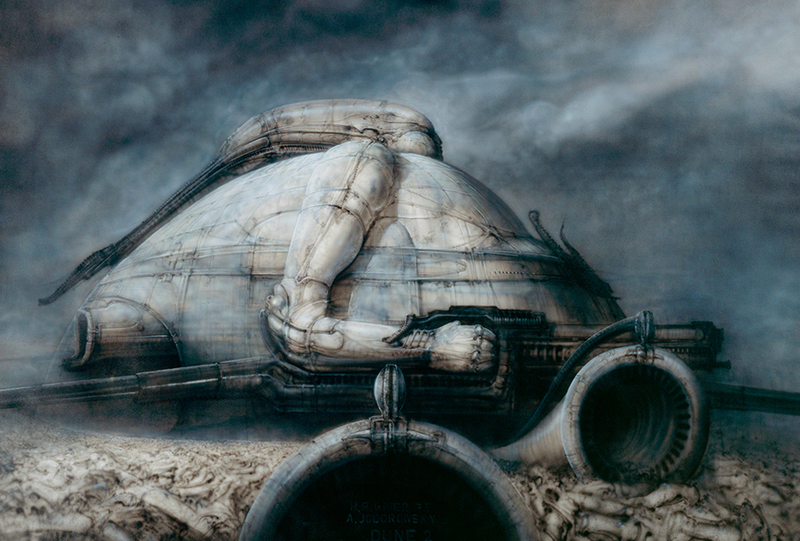 And even though their Dune project ended up falling apart, many of that creative team, like Giger, went on to form the creative core of the creepy-dark classic, Alien. Yes, but not only that, the ‘real’ influence Jodorowsky’s version of Dune had was in this brilliant-though-perhaps-odd selling point: Moebius storyboarded the story and scenes and shots and put together a limited-edition (like, muy limited edition: 5 or 7 copies) hardcover book/tome, and sent it to key behind-the-scenes powerhouse Hollywood producers. These books have supposedly made the rounds, and been read by some of our movie-making greats. In fact, the legend of this ‘secret’ tome is what inspired actor/director Frank Pavich to do this documentary! Jodorowsky still has one copy, and Pavich shows us pages and panels from it, where we can see, for example, that a lightsaber battle scene from Star Wars was taken almost exactly from them. 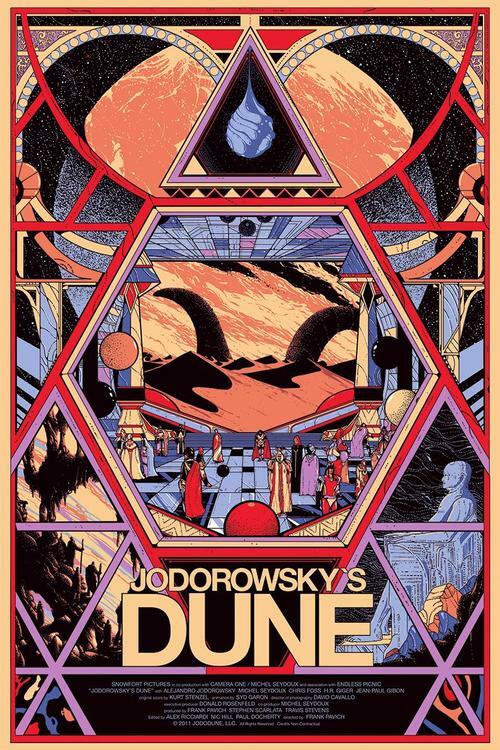 The Dune project tanked, but all was not lost: Other scenes and plot points were re-used later in graphic novel collaborations between Jodorowsky and Moebius. So, not only was Jodorowsky’s version of Dune, The Greatest Film Never Made, it ended up influencing the comic book world as well. Jodorowsky went on, years later, to make other films, and continues to do so, but I can’t help but think he holds some bitterness. Like, that his Dune could have been what Star Wars ended up being: influential, but also maybe a money-and-fame-maker. Or not. Decide for yourself. See it with other film friends and you’ll have a huge conversation afterwards, guaranteed.